Released by Scotti Bros. for the purpose of getting anything Al-related out in 1995, as Al was not able to finish an album that he had wanted to get out that year (that album eventually became Bad Hair Day...and now you know...the rest of the story...good day). The first single-CD/cassette compilation to feature original songs not issued as singles. Features a cover illustration by legendary MAD Magazine artist Jack Davis. To coincide with a major promotional campaign on MuchMusic, Canadian issues of the album were retitled The MuchMusic TV Album (see top right image) and featured a full-color version of the cover artwork on the actual disc, rather than the monochrome version on the domestic issue. 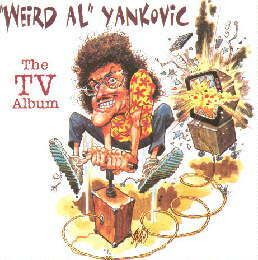 The last Al release distributed by BMG Music until the 1999 reissues. This page was last updated September 11, 2006. Scan of Canadian album courtesy of Dave "Elvis" Rossi. 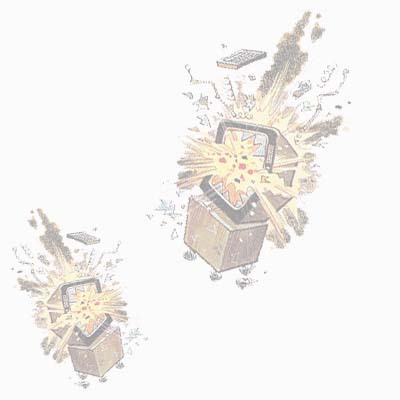 The TV Album ©1995 Scotti Bros. Records. ©1999 Way Moby/Volcano Entertainment III.